The following is based upon a trip to Patagonia taken in early February 2004 where I visited the areas in and around El Calafate and El Chalten, Torres del Paine and spent a very limited amount of time in Puerto Natales and Punta Arenas. There are airports in El Calafate, Argentina (airport code: FTE) and Punta Arenas, Chile (PUQ) which have regularly scheduled flights. If you are visiting areas in both Chile and Argentina then flying into one and out the other will save you a day of backtracking. I did not find that there was a penalty in airfares for doing this and this is what I did. I flew American Airlines from New York to Buenos Aries (there are two airports in Buenos Aries, EZE and AEP, one typically for domestic flights and one for international flights), Aerolineas Argentinas from Buenos Aries to El Calafate, and Lan Chile from Punta Arenas to Santiago, Chile and from Santiago to New York. All of these were via large jets and service was very good. All of the areas in Patagonia discussed here are linked by regular bus service. Most trekkers use this form of transportation and given the low quality of the roads in this area leaving the driving to someone else might be a good idea. It is also seems to be a reasonably priced option. I drove about 1755 kilometers over ten days in two rental cars and I also crossed the border with one of the rental cars. Over 75% of my driving was over very bumpy and dusty dirt roads. Some towns only have one gas station and there could be well over a 100 miles between towns (i.e. 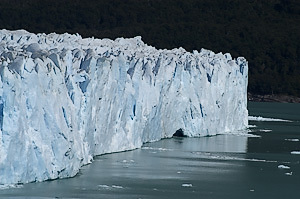 El Calafate to El Chalten) so plan ahead. Also, not all gas stations were open 24 hours a day. 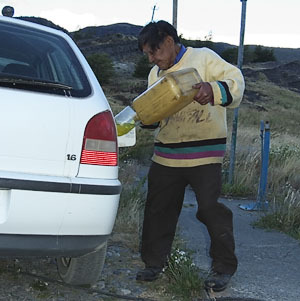 In Torres del Paine there was an older gentleman who spoke no English who sold gas by hand pumping it from a barrel of it into a 10-liter plastic jug and then hand pouring this into your gas tank with a funnel. This was the only option in Torres del Paine and the only other options for gasoline were *not* anywhere nearby. There can be very little infrastructure between towns and that was one reason I carried a satellite phone as there is no cell coverage outside of larger towns and very few services available to help you if you break down. My rental cars both came with two spare tires (and multiple cracks in the windshield) and I saw one large modern charter bus with a flat tire on the way to El Chalten. 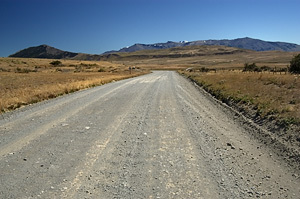 El Chalten and Torres del Paine do not have any paved roads. You will need special paperwork to cross the border in a rental car. 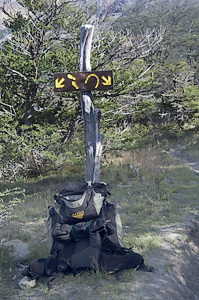 I crossed at Cancha Carrera which was fairly painless and I gather much faster than crossing near Puerto Natales. If I were to go back today then I would seriously consider renting a real 4-wheel drive vehicle (i.e. a Jeep Cherokee) and not a car as the roads are very punishing. I stayed at the Kosten Aike hotel in El Calafate, the Fitz Roy Inn in El Chalten and Hosteria Pehoe in Torres del Paine. I also spent part of a night in the Costa Australis hotel in Puerto Natales (and slept in my car for a few hours the same night in Punta Arenas which was not my first choice). The Kosten Aike hotel was very nice and offered free use of a PC connected to the Internet in its "Business Center". The Fitz Roy Inn, like most places in El Chalten, has no phones, TV's or radios in any of its rooms. 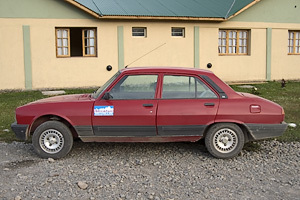 It is very basic (but clean) and would cost a lot less if it were not located in El Chalten. In Torres del Paine I stayed at the Hosteria Pehoe. I also looked at the Hosteria Lago Gray, the Explora Hotel and Hosteria Las Torres. These four hotels seem to be the best ones within the park and none of these are inexpensive. As the park's roads are all unpaved, dusty and very bumpy, it is advised to take the hotel's location be taken into account when planning your stay. The Explora Hotel and Hosteria Pehoe are centrally located while the hosterias Lago Gray and Las Torres are at one end or another of the park. The Explora Hotel is in a class by itself. Its level of physical plant, location and level and variety of services are without peer in the park. It even has its own boat for ferrying its guests around the lake it borders. The Explora is also the most (by far) expensive location to stay in and its rates are only all-inclusive and include all meals, activities (including guides and transportation) etc. The Explora books up well ahead of time! The Lago Gray and Las Torres would be next level of accommodations in the park. If the Explora would get five stars (and it does in some places) then the Lago Gray and Las Torres would get four. Both looked very nice. The Hosteria Pehoe has location, location and location going for it. Otherwise it would only get three stars. With its location I would give it three and a half stars. I was generally happy there (I stayed in a "superior" room) but it was obvious to me that the other three hotels were more luxurious and had a greater level and sophistication of service. Hotels in the Torres del Paine have their own electrical generators and use satellite phones as there seems to be no alternative. 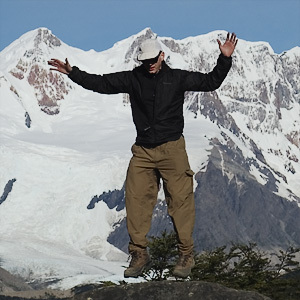 I found the people at the hotelschile.com website to be the best at booking a hotel in Torres del Paine. Hotels in Torres del Paine book up early! The Costa Australis hotel in Puerto Natales also seemed very nice (but don't open the windows at night for fresh air or a large number of insects will enter your room!). El Calafate - regular land lines are available. El Chalten - only satellite telephone links. There was one calling center (with booths) on the main street and ?two others on a side street in the center of town. Torres del Paine - only satellite telephone links. I used the one in my hotel. There is no coverage in Torres del Paine, El Chalten, on most roads and on all hiking trails. I rented an Iridium satellite network based Motorola 9505 from Outfitter Satellite in Nashville, Tennessee. I never actually used it in Patagonia as cheaper options were available locally. Other vendors also rent phones for the Iridium network. In my research it seemed that satellite coverage in this area may be limited to those on the Iridium and Globalstar networks with the Iridium network being a surer bet. Even though I never ended up using it once in Patagonia, I do not regret paying to rent one as I was in many places where it would've been my best and probably only way to summon help if I needed it. If you rent one then I recommend trying it out before leaving for Patagonia to make sure you understand how to use it (it is different from a cell phone) and that the unit works. El Calafate - various Internet Cafe's exist. El Chalten - there was only one Internet Cafe with about 5 PC's and a very slow satellite based connection. Torres del Paine - only the Explora Hotel has Internet connections for its guests. In general it can be hard to be a vegetarian in this part of the world. In El Calafate, El Chalten, Puerto Natales, and Punta Arenas there are a multiple of restaurants and/or food markets. In Torres del Paine the only restaurants are in the few hotels. The menu at Hosteria Pehoe (in Torres del Paine) was not at all oriented towards a vegetarian or someone who likes fresh fruit. There was one very small food market in Torres del Paine with a very limited selection of food (no fresh fruit or vegetables). If you are trekking then certain refugios and campgrounds also had various food options. Patagonia is well known for its wind! On a couple of days I experienced wind that reminded me of skydiving. On the other hand I was very lucky as I experienced an unusual period of relatively warm (T-shirt) and dry days. It is strongly advised that you come prepared for serious weather including very very strong winds, rain (horizontal at times!) and colder weather. I was very lucky, you may not be! Evening temperatures are very likely to be noticeably colder than daytime temperatures. The sun rose at about 6:30am and set at about 9:30pm which allows for long days of outdoor activity. Argentina and Chile are both -3 GMT (two hours ahead of New York). The sun can be very strong and there is less ozone above in this part of the world to protect you from the sun here so liberal use of sunscreen (with a high SPF) is recommended. Tap water seemed to be safe to drink and I am not aware of anyone who has suffered ill effects from drinking it (I seemed to have had no problems with it and drank it liberally). There also seemed to be very few annoying bugs in the parks (i.e. very very few mosquitoes were observed). Many were comfortable drinking water straight from various streams and certain lakes but I was cautious and did not try this. My impression is that the parks and rural areas have a very low level of crime. I felt quite safe. Spanish. Most locals, including those who work in hotels, restaurants, food markets, and certain tourist oriented businesses and organizations do not speak any English. Do not assume that you can easily find someone who speaks English to translate for you. Some useful Spanish words include sendero = trail and mirador = viewpoint. There were ATM's in El Calafate. I did not observe any ATM's in El Chalten or Torres del Paine. The following is based upon day hiking in the area (that is, no camping, glacier walking or mountaineering); One nice feature of some trails is that there may be a refugio or campground that sells bottled water and or other food or drinks along the way. Some trails are quite steep and trekking poles might be something worth considering. Trails seem to be marked using orange and red paint. The colors are used interchangeable as if they were one color. A traditional (legacy technology) compass will only work in Patagonia if it has a southern hemisphere or a "global" needle. Most compasses sold in the US have a northern hemisphere needle and therefore do not (compasses with a "global needle" cost much more than do non "global needle" compasses). Electronic compasses (i.e. Sunnto's Vector watch) can be simply recalibrated in the normal way upon arrival. Navigation should be easy for experienced hikers and I never had to use my compass or GPS to figure out which way to go. On the other hand some trails could be much better marked and this was a challenge at times (but again, the use of a compass or GPS would not help in these instances). - From El Chalten to Mirador Maestri: 8 hours R/T. - From Hosteria Las Torres to Mirador Las Torres: 8+ hours R/T, some steep inclines and rock scrambling, talus field, classic view of the "towers" at the very end, campground after 2 hours that sells refreshments. - From Guaderia Lago Grey to Mirador Ferner: 4 - 6 hrs R/T, some steep inclines, great views, amazing winds on top. 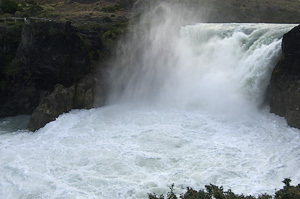 - Short walk to see Salto Grande (waterfall). - From Campamento Gray to Mirador near Campamento Los Guardas to view Glacier Gray: 2 hours R/T after boat ride from Hosteria Lago Gray. Also there is a shore trail starting from Campamento Gray that heads northward. Wow! Bring lots of film and/or memory cards. 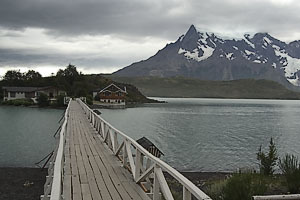 In Torres del Paine the island that the Hosteria Pehoe is on has been the location where various well known photographers (i.e. Galen Rowell) have taken famous photo's. Sunrise on the far edge of the island (take the stairs) is one place to definitely be. 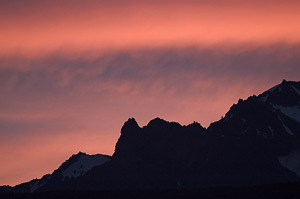 Other famous photo's taken in the Fitz Roy and Torres del Paine areas are best taken at sunrise near campgrounds. On the side of the road near El Chalten (before town) there are a number of places that afford a great view. If you are in a windy area then a tripod with sturdy legs that can be spread quite wide can be an advantage as winds can very very strong. Polarizer filters are a must and graduated neutral density filters are also recommended. 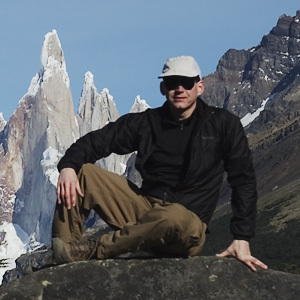 If your travel plans restrict the number of days and/or places you can visit then I would recommend Torres del Paine over the areas near El Chalten and El Calafate. 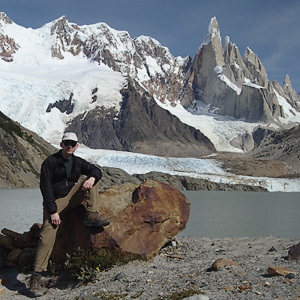 If you have more days then, unless camping or trekking, I would schedule one day in El Calafate to see Moreno Glacier, two in El Chalten for hiking the popular trails, and a minimum of four in Torres del Paine. Please note that transportation between any two of these places will take a decent part of a day (4+ hours between El Calafate and El Chalten and more between El Calafate and Torres del Paine). I met and/or saw people from Argentina, Austria, Canada, Chile, the Czech Republic, France, Germany, Greece, Ireland, Israel, Japan, Sweden, the US, and the U.K. The majority were definitely not from the US. A "classic" book on the general area is "In Patagonia" by Bruce Chatwin. It is not a practical guide but does help set a mood for a trip there. For practical matters I used the Lonely Planet guides for Argentina, Chile and "Trekking in the Patagonian Andes", the Rough Guide for Argentina and the Time-Out guide for Patagonia. If you are planning to hike or trek then the "Trekking in the Patagonian Andes" book is a must. I used various Zaggier & Urruty maps as well as Auto Mapa's Patagonia y Teirra del Fuego (#44) road map. I also used the free maps given out in the parks and in towns. I was disappointed with the Z&U's Torres del Paine map. It was published in 1993 and was missing some trails and showed a road that is no longer open. It need to be updated. Others on the web have recommended other maps for Torres del Paine. None are perfectly accurate and I saw a big mistake for one trail on the official/free map given out by Torres del Paine upon entering the park. I mostly used the free official map in Torres del Paine which generally served me well. I was happy with the Z&U maps for the Fitz Roy area as well as their Patagonia Sur Tierra Del Fuego, Patagonia South Icefield, and Parque Nacional Los Glaciares maps. The Auto Mapa map seemed to be the best road map. The Z&U maps are available directly from the publisher in Argentina at www.patagoniashop.net. Please allow up to 30 days for delivery to the US (one shipment took 23 days!). Adventure 4x4 Rent a Car - I rented my car from this outfit (do not let them rent you a red Peugeot 504, it should've been retired long ago, the VW Gol's are fine if you want a car). The owner speaks English but the rest of the staff does not. AEROLINEAS ARGENTINAS - For internal flights within Argentina (i.e. from Buenos Aries to El Calafate). Borello Travel & Tours - I used this New York City based travel agent to book all my flights and hotels in Argentina. 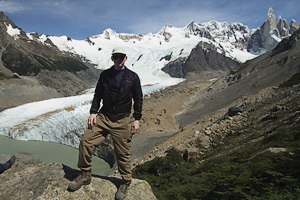 Hotels Chile.com - I used this outfit to book a hotel in Torres del Paine. Their website is useful and the owner is very knowledgeable. - New York City based mail order source for travel books and maps. Can also be visited and browsed during normal business hours. Patagonia - great article on www.photo.net by Louie Escober. Patagonia Advice - message board entry at www.photo.net regarding Patagonia. 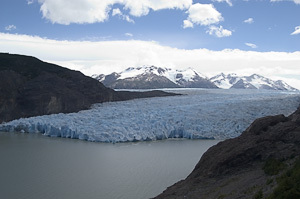 PATAGONIA Argentina & Chile travel guide - good general site. 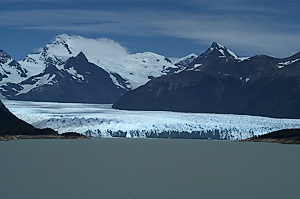 Patagonia Argentina & Patagonia Chile travel guide - good general site. Patagonia Argentina - South America. Travel, destinations, sightseeing, photos and more! Sierra Soul - their Patagonia "Adventure Log" and "Patagonia Travel Tips" are well worth reading. 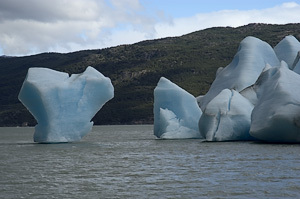 World of Wildlife Images: Patagonia - info and photo's. 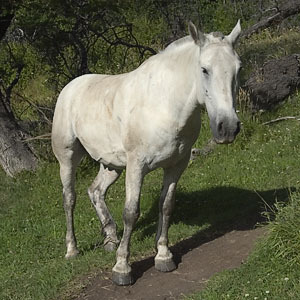 I also recommend the message boards on the Lonely Planet, photo.net, and Backpacker.com web sites. There were many people who helped me plan my trip. Some were friends who have been there before and some were ones I met via the web in researching this trip and were very generous with their advice. I would like to thank Valeria Ainsztein, Sandra Borello (of Borello Travel & Tours), Steven Chan, Mark Chappell, Louie Escober, Alex Furman, Charles Hallifax (of hotelschile.com), Matt Pritchard (of Sierra Soul), Adrian Riestra (of Adventure 4x4 Rent a Car), and various other people who responded to my postings on message boards regarding this trip on photo.net, backpacker.com and elsewhere. I apologize if your name should be here and I have left it out. WARNING/DISCLAIMER: Hiking can be dangerous and the information contained on this web page may contain errors! Hosteria Pehoe's location is an A+. 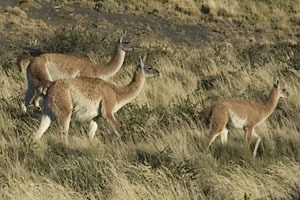 Guanaco's in Torres del Paine. 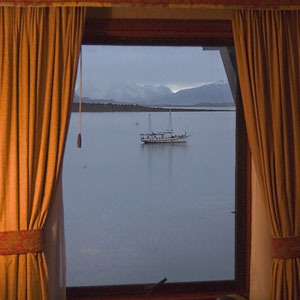 View from my window at the Costa Australis hotel in Puerto Natales. The long, dusty and bumpy road. Make sure to take the correct trail. The author practicing his levitation act. Yet another photo of the author. Click here to see other photo's from my trip. Copyright © 2004 Michael Brochstein. All rights reserved. This page has been visited times since February 20, 2004.